A Steal for the Money! Yes, my heart currently belongs to Too Faced's "Shadow Insurance" and UD's "Primer Potion," but when I tried NYX's HD "Eyeshadow Base" I was amazed at its potency. It keeps shadow on as long as the aforementioned others, if not longer. My shadow stays highly pigmented with this. For only $7.00, what more could you want? I love NYX cosmetics because they are comparable to the more expensive prestige brands, like Too Faced and Benefit. I have red lids, and I apply this to my lids, and the redness is gone, and eyeshadows stay put. For the money, this is a great product. I suggest checking out the entire NYX line of cosmetics. This is my new favorite eyeshadow primer. I used to use the ELF $1 primer, which worked pretty well for me, but now that I'm using this it seems like ELF's primer wasn't that great after all! I mean it did it's job, but it doesn't compare to NYX's in terms of staying power. I applied this under my eyeshadow at 8 am, and at 10 pm that night my eyeshadow had not creased AT ALL! I was shocked. Most o...read moref the eyeshadow was still there as well. I'm super impressed with this primer!! 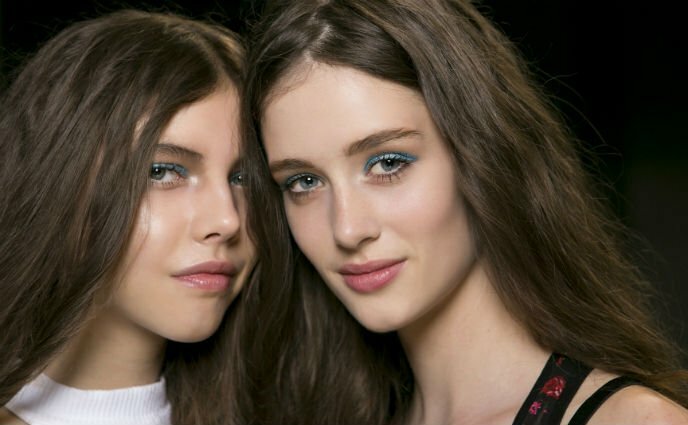 Great lid primer. It prevents shadows from settling into the creases in my lids, which has bedeviled me ever since I began wearing makeup. Because my lids have become more see-through with age, I'd love it if NYX created a version of this eyeshadow base with a faint yellowish cast that might neutralize my lids' red tones. The second primer I've tried and I love it! I even had a little bit of trouble getting my eyeshadow off it was so good! 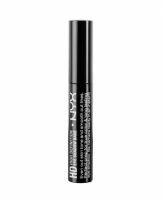 I'm definitely a bit of a NYX girl as I haven't yet tried anything I haven't liked, but this is probably my favourite product out of all the NYX products I've tried, and is also now my favourite eyeshadow primer. Definitely worth the try. Exactly what I needed. I tested this stuff with NYX's "Flamenco" eyeshadow (not "Flamingo", this one is from a trio). I love the color, but something about the shadow makes it disappear very quickly on me. After 8 hours with the eyeshadow base, the eyeshadow looked like I had just put it on. Incredible! Usually my very oily eyelids make the shadow disappear in about 3 hours. There was slight creasing on the inner eyelid, but it wasn't noticeable. I don't think it made the shadow much brighter, but I was just looking for something to help with the oiliness. You can use NYX jumbo eye pencil in Milk as a cheap base to brighten colors. Will definitely repurchase. OMG! This is a LIFE SAVER if you are not willing to shell out $18 for UDPP...it's very comparable!! I have no creasing or fading what so ever with my eyeshadow from morning to night time (and I have extremely oily eyelids!) It has a very light consistency..almost seems like it would be too runny/watery to have holding power but don't let that fool you because it DOES do the job and more! I love the price, I just said about UDPP the same because I do love both of these products...only down side is I personally don't like doe foot applicators for these primers and prefer a squeeze tube..so I'm hoping NYX will come out with that! If you are wanting to save about $10 bucks...BUY THIS PRIMER! It does just as good of a job as the higher end primers..and in some cases EVEN BETTER! !